Crocodile Games was running their Kickstarter for WarGods of Olympus last month and I was celebrating by painting only WarGods related minis. I extended the month by a week and managed to finish 44 miniatures for Ægyptus and Olympus. 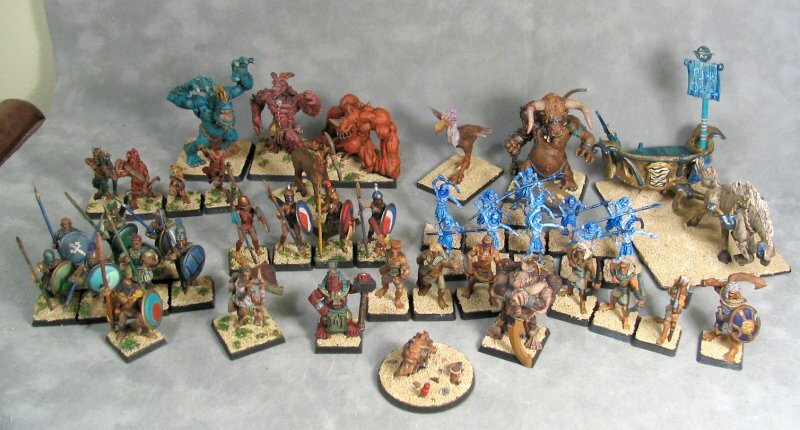 Since they were all WarGods-related minis they were posted on the sister blog dedicated to WarGods. WarGods Minis Month'13 Update 11- TITANS!! !